Fly from any major city. Getting around. You don't need a car in HK. Subway, bus, taxi, and the occasional ferry will get you to the climbing trailheads. Approaches range from ten minutes to over an hour, and are generally steep. Many of the areas have fixed handlines in place for the third class sections of the approach. Some of the handlines are pretty ragged, so look before you yard on them. Other areas, such as Lion Rock or Devils Peak, have concrete stairs and steel handrails. Hiking in HK is popular, but it is neither a wilderness nor LNT experience: On the Lion Rock approach, expect to see paper, plastic and human waste scattered along the trail, and hikers carrying umbrellas, with pocket radios strapped to their belt. The climbing can be found in four distinct areas. First, Hong Kong island has a number of spots, including downtown (Central Crags) , mid-island (Mount Nicholson and Black Crag), and coastal areas (Cape Collinson and Shek O). Second, Kowloon has several of the most established crags, including Beacon Hill, Lion Rock, and Kowloon Peak. Third, the New Territories have a number of areas, ranging from basalt cracks in Sai Kung to boulder fields in Tsuen Wan. Finally, climbing is found on a number of nearby islands, including Tung Lung, Lantau, and Lamma. The climbing: Much of Hong Kong is granite, and there is also volcanic tuff, and a bit of basalt. There is a lot of variation across the different crags: for example, there are blocks and corners that have a trad feel, high angle friction, and steep crimpy moves. Generally, you should expect technical face climbing, occasionally very beta intensive. Angles are mostly steep slab to moderately overhung. Routes tend to be short, so you can leave your 70 and 80 meter ropes at home. There is also very little trad climbing, so ditto for tricams and stoppers. 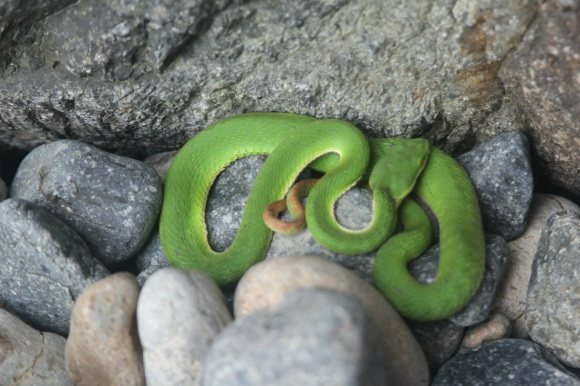 Climbing is popular in Hong Kong, and a day at the crag can be a very social activity: At the busiest areas  Tung Lung and Beacon Hill  you might see ropes hanging on literally almost every route. Routes are clustered closely together; many times, you can reach over and touch a bolt on an adjacent route. So, check with your neighbors before launching off. People are friendly, and you can often snag a toprope or take advantage of some prehung draws if you ask nicely. If crowds aren't your thing, well, you probably shouldn't be in Hong Kong! There are a number of places you can go that are more secluded. Climbing guides and web resources. There are several good resources in the internet. For many years, the only information available online was Stuart Millis website. The site has an online guide, .pdf miniguides, new route and rebolting info, as well as people looking for partners. Much of the recent development in Hong Kong has been led by Francis Haden and friends; he has also spearheaded the effort to replace old bolts. His site has new route information for Hong Kong and elsewhere, plus a lot of material on bolting in general. On Facebook, there is a Hong Kong Bolting Forum, and a Hong Kong Climbers group. There are several published guidebooks, although most are out of print. D.C. Reeves published an early guide in 1968 which is of mainly historical interest. A .pdf copy can be downloaded from the guide section ofhongkongclimbing.com. 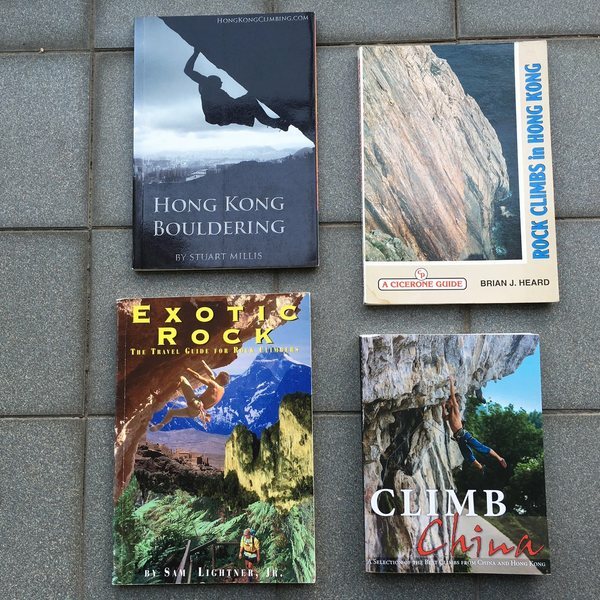 Brian Heard's Rock climbs in Hong Kong (1994) was published in the early days of bolted climbing in Hong Kong. For example, One-Eyed Snake at Beacon Hill was described as "Non-existent protection on the crux makes for a very serious lead"; the same route is now well-covered in bolts. If you are looking for obscure trad routes, the Reeves and Heard guides are excellent starting points. Sam Lightners 1994 Exotic Rock guide also featured a short section on Lion Rock and Tung Lung. Climb China, by Wojton, Thang, and Paulter is in print, and is a sampler of areas across China. It includes five of the most popular areas in Hong Kong, with color topos, access information, and other details. Finally, Stuart Millis published Hong Kong Bouldering in 2004, a full color guide for pebble pinchers which is unfortunately out of print. Big mammals! 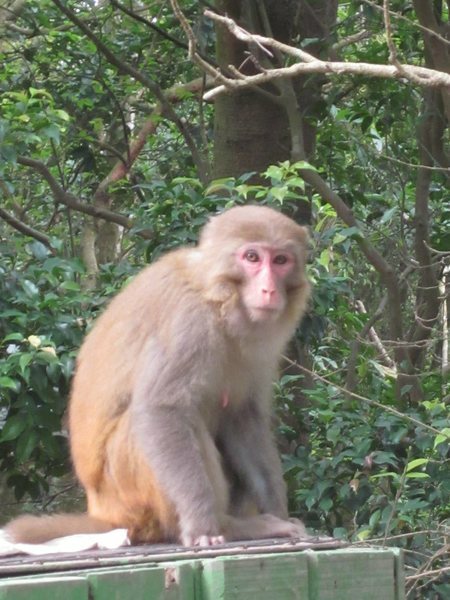 Wild monkeys (macaques) are common around Lion Rock and Beacon Hill, and can be aggressive if food is visible. Wild boars are seen in this same range, and often around Cape Collinson and other areas. The boars are reclusive unless you get in their face, or when piglets are present. And, if you visit the Blacks Link area, you can find some very healthy porcupines after dark. Water buffalo are found in Lantau; they are mostly docile, but males are occasionally aggressive. Creepy-crawlies! Giant centipedes grow to ten inches, and are an excellent reason not to turn over rocks. They are seen occasionally, and are venomous. If you visit less traveled areas, you will see many golden orb spiders on or near the trail, typically later in the summer. These grow up to six inches in diameter, and have venom comparable to a black widow. If you are looking to be bitten, Mount Nicholson and Kowloon Peak are excellent venues for this activity. From personal experience, these bites do not result in superior wall-adhesion abilities. Loose rock! More common in newly developed crags, as well as in drainage areas e.g., both the Zawn at Cape Collinson and Shoot Gully at Mount Nicholson are prone to rockfall. Bad bolts! Old bolts are gradually being replaced by titanium glue-ins. Older bolts do occasionally pull out or shear off. Climbing gyms and walls. HK has a number of options for pulling plastic. Private climbing gyms are exclusively focused on bouldering; although they typically have a short toprope wall, this is usually for kids and belay training. On the Kowloon side, there is Just Climb and Go Nature. On HK island, there is the Attic gym in Aberdeen. The YMCA operates two walls in Kowloon: An indoor wall in TST, and an outdoor lead wall in Jordan. The Jordan wall – at the YMCA King’s Park Center – has routes nearly sixty feet high, making it taller than many of the outdoor areas in HK. Belay certification is required, and must be prearranged. Finally, there are climbing walls at a number of government sport facilities, in both Kowloon and the New Territories. These walls vary from site to site: Some are indoors, while others are outside. The shortest wall is about 20 feet high, while the outdoor wall at Shek Kip Mei is nearly as tall at YMCA Kings Park – about fifty feet high. The Hong Kong Mountaineering Union controls access to government walls, and the experience is far from user friendly. The easiest way to visit one of the government walls is through one of the several Meetup groups, which schedules a number of sessions each month. There is little to no active route setting at either the YMCA or the government walls, and often no marked routes. Monkeys are common around Lion Rock and Beacon Hill. Few people in Hong Kong own trad gear, so the vast majority of cracks have been bolted -- some of these during the FA (e.g., Break Away at Cape Collinson), and others retro-bolted (e.g., King Cobra at Beacon Hill). Similarly, many of the bolted routes at Lion Rock were originally done as trad leads. Re-bolting is generally desirable, but adding more bolts to existing routes is best done in consultation with the first ascensionist -- sometimes they are happy to have an extra bolt or two, other times not. Persons wanting to improve sport routes in Hong Kong but lacking the time/expertise/equipment to do so can donate funds to cover the cost of materials. Please see the Hong Kong Bolting Forum Facebook page for more details. www.hongkongclimbing.com also maintains a list of re-bolted routes.